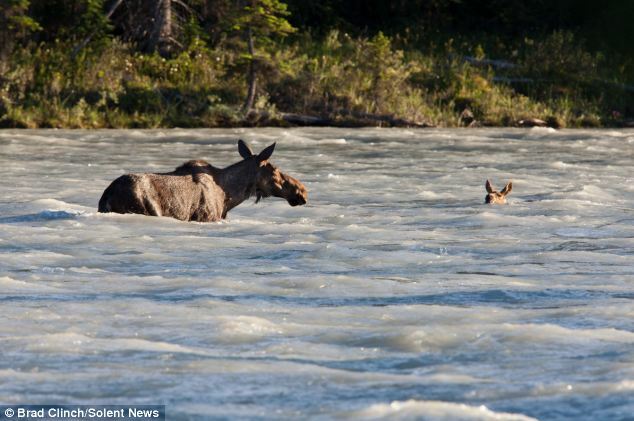 Many a youngster will do everything they can to avoid the soap and flannel at the end of the day when bath time comes around, but this young calf has more reason than most to fear water. 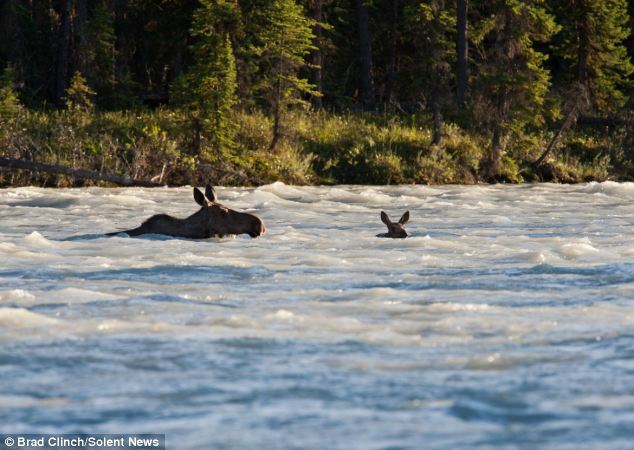 He got more than he bargained for when he strayed too far from the safety of mother moose and got swept away. 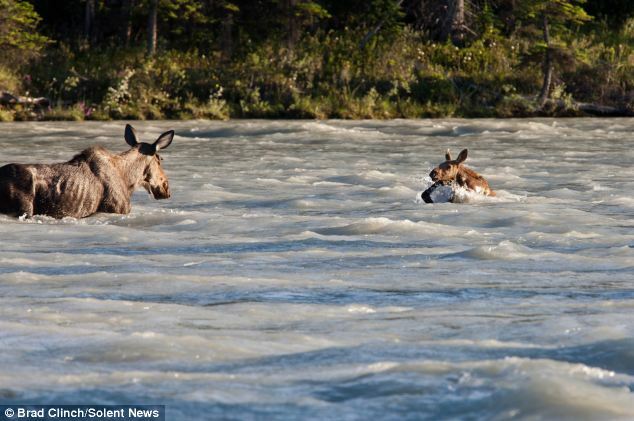 The nipper could barely keep his nose above the fast flowing rapids of the river in Jasper National Park and was in grave danger of drowning. 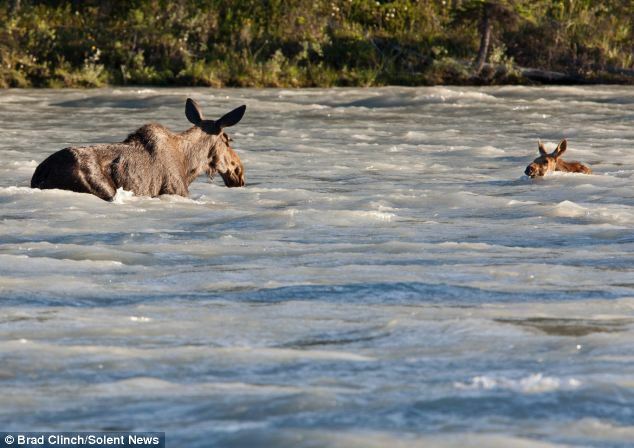 Mother did her best to rescue him, but heavy rain the week before had made the river deadly. 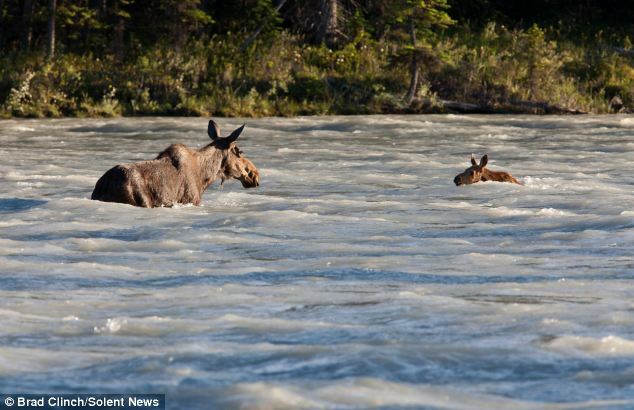 The pair were in the water for four minutes and drifted more than 500 metres down the whitewater rapids as they tried to escape the cascading torrent. 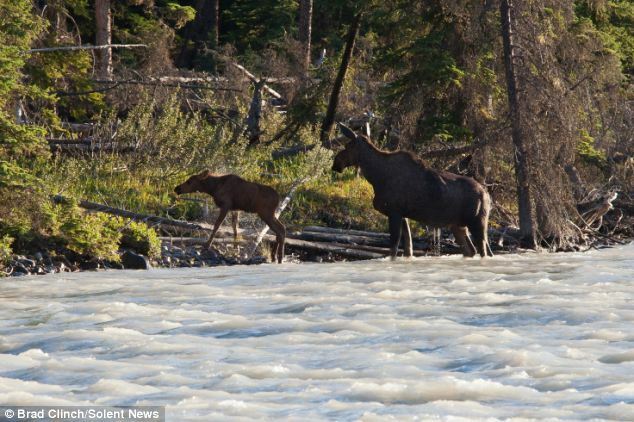 Responses to " Mother moose takes the plunge to rescue her calf from certain death"
The poor Mom is so thin :( . 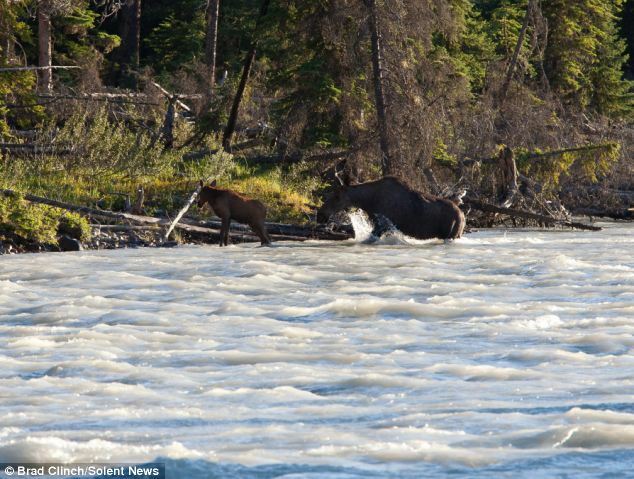 Glad they made it though.